By Lucas Pavan, Manager of Membership and Destination Development at Tourism Vancouver and Festival Producer of Tourism Vancouver’s Dine Out Vancouver Festival. Tourism Vancouver’s 16th annual Dine Out Vancouver Festival kicks off this Friday (January 19th) taking over the city with 17 days of culinary events, prix fixe menus at 300-plus restaurants (at $20, $30 or $40 price points), as well as “Dine and Stay” packages and special hotel rates starting at $89 CAD/night. In addition to promoting local and regional ingredients and the city’s exceptional culinary talent, Dine Out Vancouver Festival has always been about promoting BC VQA wine which are an integral element of Vancouver’s culinary story. The Wines of British Columbia have been a supporting partner of Dine Out Vancouver Festival since 2004. Wine enthusiasts will find plenty to love at the 2018 festival. Festival organizers are always on the hunt for delicious ways to feature BC Wines. 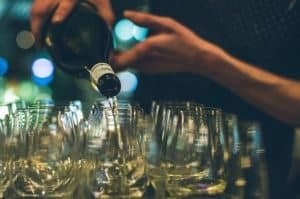 Dine Out’s brand-new opening gala event is a collaboration with the Wines of British Columbia called The Grand Tasting (January 19th). This ticketed event transforms the two-level atrium of the regal 90-year old Orpheum Theatre into a culinary wonderland featuring a delicious array of restaurant tasting tables, craft breweries, and over 25 British Columbia wineries. Our team has also curated a collection of BC VQA Wine Brunches. These four brunch-time events take place at Hart House Restaurant (January 20), Pinnacle Hotel at the Pier (January 21), Forage Restaurant (January 27), and Boulevard Kitchen and Oyster Bar (January 28). Each event is a stand-up, mingler-style event featuring fresh, inventive cuisine, paired with a selection of BC wines. What’s more, participating restaurants feature sommelier – suggested BC VQA wine pairings along with their prix-fix festival menus, making pairing wine with your dinner that much easier! WATCH VIDEO! 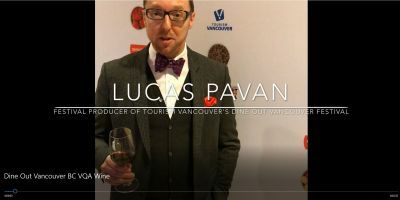 Featuring Lucas Pavan, Tourism Vancouver; Howard Soon, Chief Winemaker of Vanessa Vineyards; Tim Pawsey, celebrated Vancouver-based wine and food writer; JS Dupuis, Beverage Director at Homer St. Cafe and Bar; and Terry David Mulligan, television personality and host of Tasting Room Radio. Dine Out Vancouver Festival 2018 runs from January 19 to February 4.